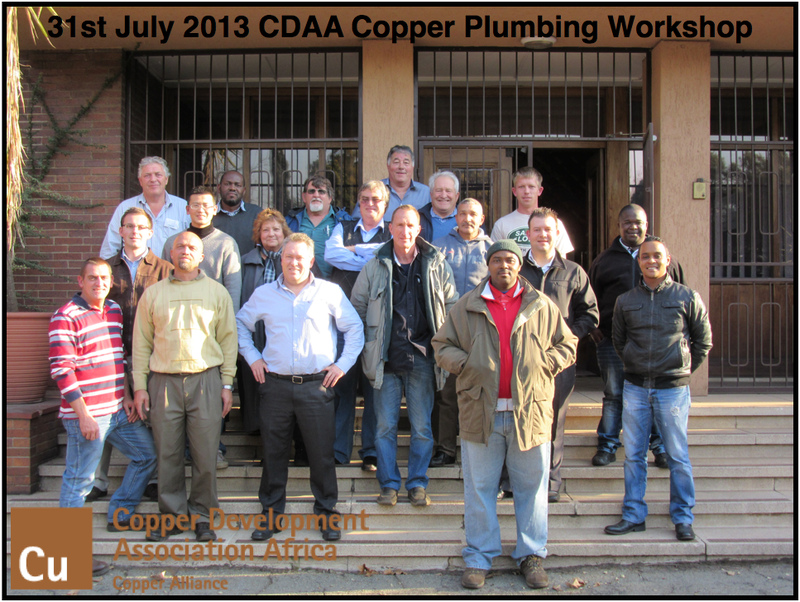 During 2014 the CDAA has been involved in a number of initiatives to raise awareness amongst plumbers and other interested parties (in the water reticulation sector) about the benefits of using copper pipe as a metal of preference in plumbing installations. These workshops included practical sessions on soldering large diameter copper pipe, pitting corrosion and focussed on the skills involved in working with copper pipe. This section on activities covers two types of activities, public and private enterprise initiatives. 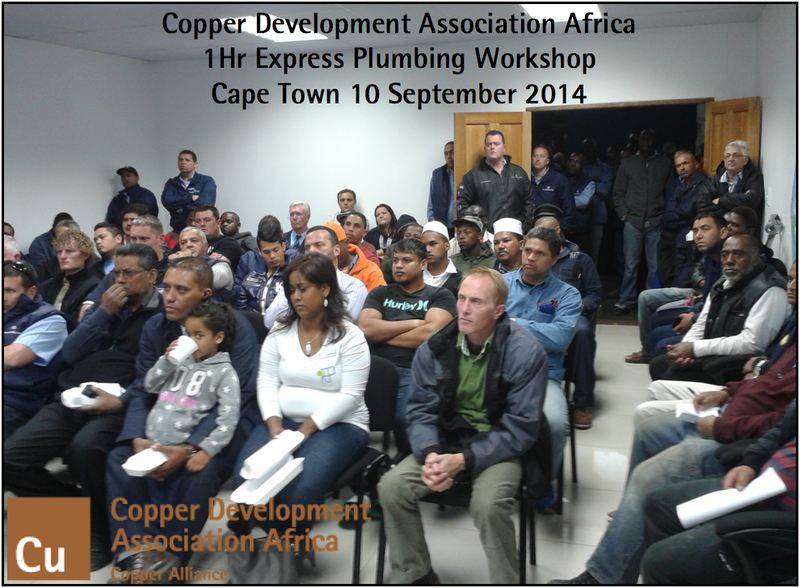 Approximately 55 plumbers from Cape Town and surroundings attended this event. 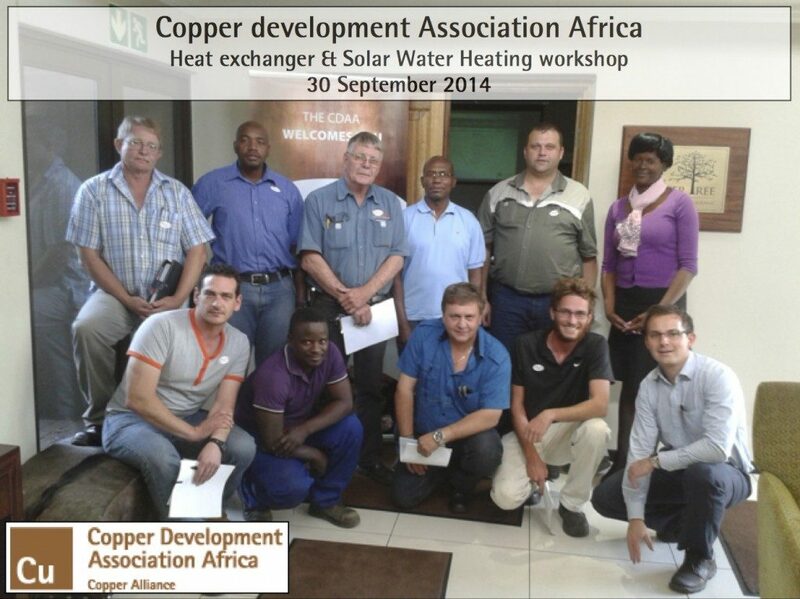 The CDAA shared information regarding the design of large solar water heating systems, thermal conductivity & expansion of copper, and heat exchangers. This presentation also formed part of a regional plumbing association meeting. 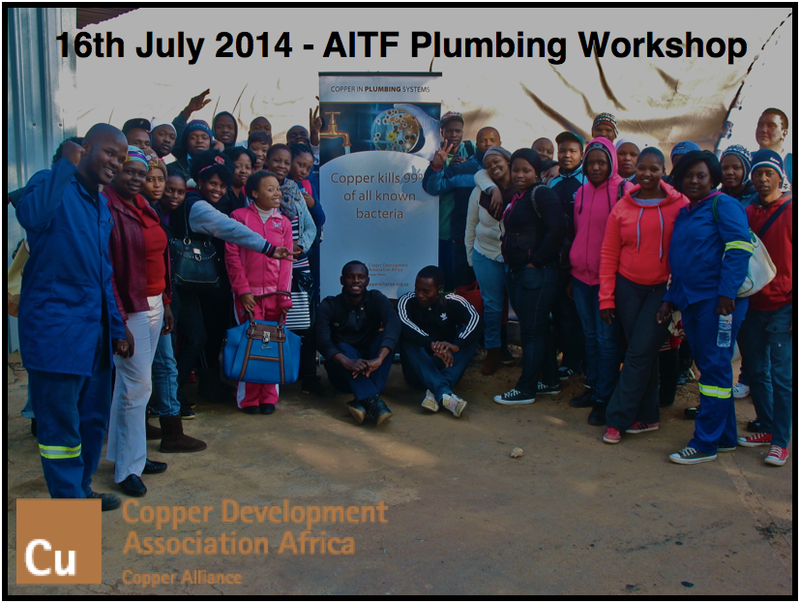 The CDAA was given the opportunity of presenting on the facts, advantages and benefits of copper to group 2 and 6 at the AITF training centre in Kempton Park. A total of 150 students are doing training as plumbers and are training on the full scope of the plumbing trade. The group of 150 students have been divided into three groups of 50 students each and Carel Ballack was given an opportunity of spending the day with the first 50 trainees. 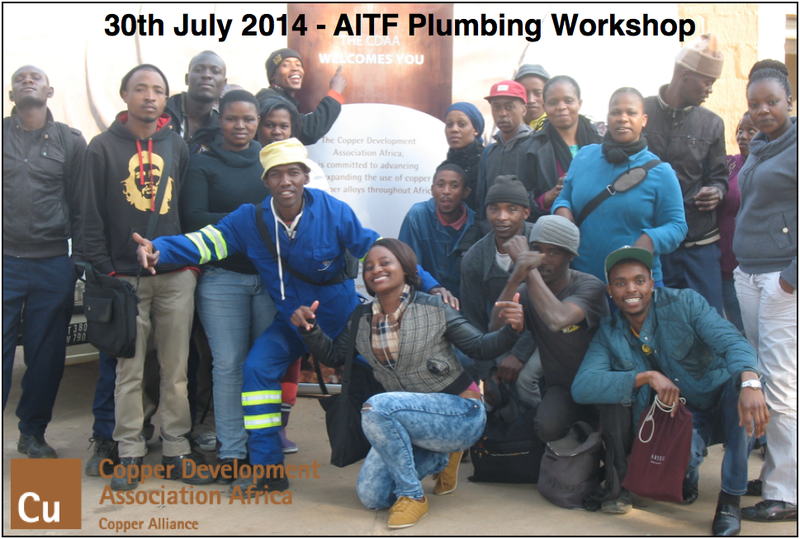 The other students will be addressed in upcoming sessions…watch this space for more activities in the plumbing sector.